I am happy to say, Lake Tahoe has been my home for 33 years. I have raised my beautiful daughters here and upon their graduation from college they are also happy to call Lake Tahoe home. When Mackenzie returned to Tahoe, she made the decision to become a Realtor at C21 At Tahoe Paradise, 5 years ago and we have truly enjoyed working together. Ashlee is working the very challenging, yet so rewarding job of a drug and alcohol abuse counselor, for the students at the high school, through Tahoe Youth and Family Services. Ray, my life partner of 14 years and a blossoming Lake Tahoe General Contractor of 35 years, also has 2 daughters he has raised in Lake Tahoe. Between Amanda and Jamie, they have blessed us with a total of 4 beautiful grandchildren and live 2.5 hours away. It’s all about family and good health, isn’t it? When you are looking for a Lake Tahoe Realtor, I am your “Lake Tahoe Area Specialist” and also your certified “Resort and Second Home Property Specialist”. I come with a wealth of information, knowledge and experience regarding all of your Lake Tahoe real estate needs. Being a Lake Tahoe Realtor has been a very rewarding experience. Nothing pleases me more than to find that special Tahoe Getaway for my clients, so they can experience the Tahoe Lifestyle. I also take great pleasure in assisting my sellers with getting their homes sold in a short time, for TOP Dollar and more importantly, stress free. 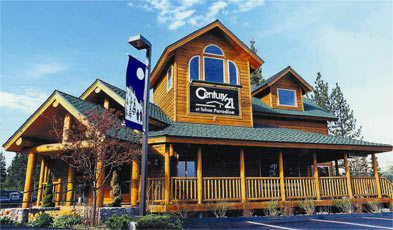 When you are ready to “Live Your Lake Tahoe Dreams”, please give me a call or drop me an e-mail. I will be happy to sign you up for a very popular “Buyer’s Tool”, it is called E-Mail Notification. It is designed to find your specific wishes in your Lake Tahoe home. Tahoe owners love it as well! They find it easy to keep track of the local market trends. Let’s talk soon, while the Buyer’s Market is strong!